Square Enix debuted the latest Deus Ex title at E3 which was still in alpha build, which meant that it crashed. Deus Ex: Mankind Divided, for those unaware, is an action RPG which allows you to play one of four ways – combat, stealth, hacking, or social. This installment takes place in the year 2029, which is two years after the previous title Human Revolution. The humans have split into two factions, where the augmented humans are under watch by the government and its counter-terrorism units thanks to the events of Human Rev; so feel free to insert your own social commentary here. Read the rest at BleedingCool. I had the ability to demo a few games by Square Enix a few weeks ago, including the newest installment of the Final Fantasy franchise and a few others. The usual Final Fantasy game uses turn-based gameplay, often with a lot of menus. 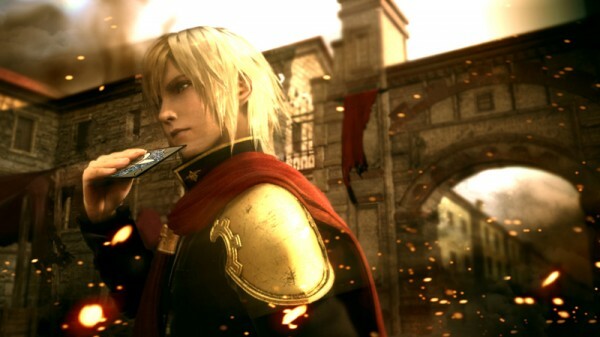 Final Fantasy Type-O HD is, in that way, a rather huge departure from the usual FF dynamic. Fighting is all done in real time, with instant-kills if you time your attacks right, and no real menus in sight. The game’s combat system is essentially a stripped down version of the one found in each Kingdom Hearts game. For gamers who have always avoided Final Fantasy titles because of the ubiquitous menus and turn-based gameplay, Type-O should be a great introduction to the franchise. Read the rest at BleedingCool.